DLC was never released for the PC version. DLC content can still be accessed by modding the game. Steam version is free of all DRM other than Steam itself. Purchasing the game from the official Lego website grants access to an unnamed exclusive character and stud code. However, currently the limited Lex Luthor edition is not available through the official website. A limited edition version of the game is available at retail, and from sites such as Amazon.co.uk in the UK. This version includes an exclusive Lex Luthor mini toy. This collectible character is not available in any Lego sets. Set Aspect Ratio: From Screen-Res in the video settings. Cutscenes are framed for 1.78:1 and Vert- at wider ratios. Actual gameplay is Hor+. Tied to Texture Quality setting. Keys can be remapped for both players. 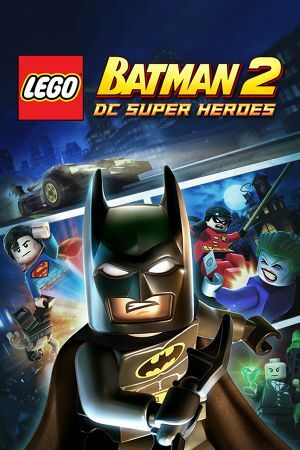 Use Helix Mod: LEGO Batman 2 DC Superheroes - 3D Vision Fix to fix convergence issues. Users with 3D capable Nvidia graphics cards may be unable to disable 3D Vision by unplugging the 3D adapter, or using the NVIDIA Control Panel. This issue can be resolved by pressing Ctrl+T in-game. The Steam version automatically selects the system language with no way of changing it through the Steam client or in-game. If it does not exist, create it (note that if the Key "Warner Bros. Interactive Entertainment" already exist, make sure it includes "Bros." instead of "Bros". If not, change it so it contains the period). A number of users have reported issues with the PC version of the game, whereby the anti-virus program AVG detects the dangerous Win32/Heur virus mid-installation. This is a known false-positive, and AVG are aware of the issue. Users of AVG can safely ignore the warning presented in this case. ↑ 1.0 1.1 File/folder structure within this directory reflects the path(s) listed for Windows and/or Steam game data (use Wine regedit to access Windows registry paths). Games with Steam Cloud support may store data in ~/.steam/steam/userdata/<user-id>/213330/ in addition to or instead of this directory. The app ID (213330) may differ in some cases. Treat backslashes as forward slashes. See the glossary page for details. This page was last edited on 18 April 2019, at 19:55.